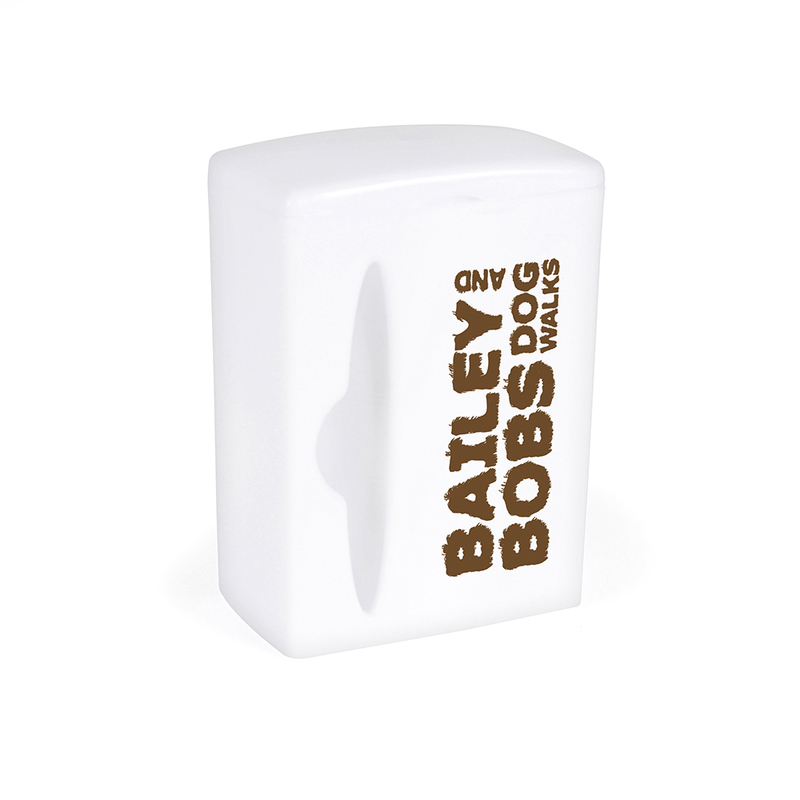 Model:SS0079 LACEY Description: White plastic waste bag dispenser with built in clip. Includes 15 waste bags. Available in white. Colour Options: White Product Data Specification Product Size 75 x 55 x 33 mm Product Weight Ink Colours If Applicable N/A Additional Information Price includes 1 colour print to 1 position only. Price excludes Carriage & Origination. Lead Times 5 working days from artwork approval Personalisation Data Max Personalisation Pad/Screen Print Area 55 x 20 mm Engraving Area N/A Full Colour Area 55 x 20 mm Embroided Area N/A Max Spot Colours 3 Foil Block Embossing N/A Notes Price includes a 1 colour print to 1 position. Set up and carriage are additional. 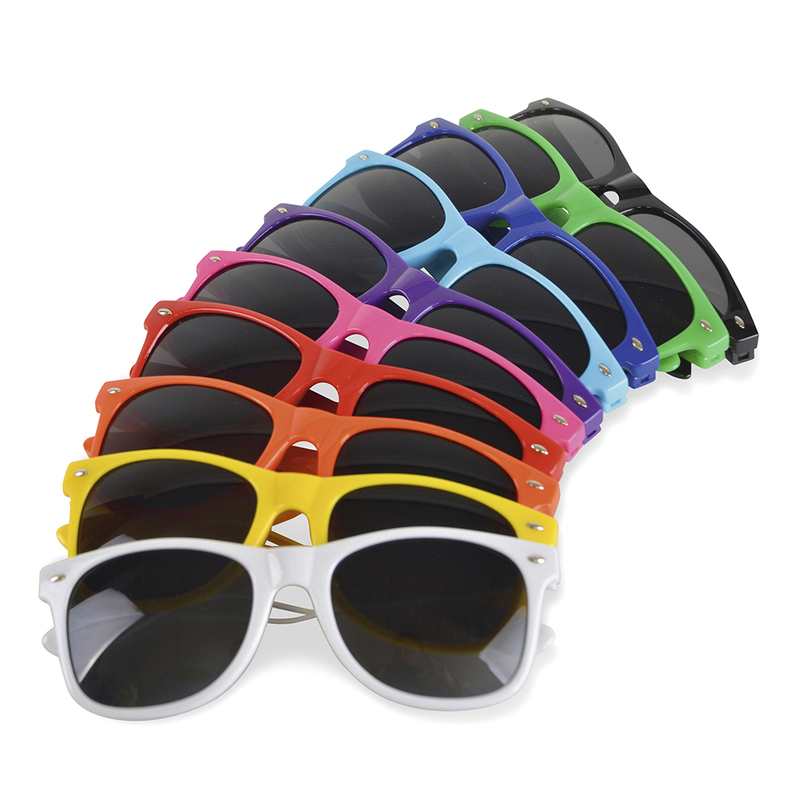 Model:TA0132 MIRRORED SUNNY Description: Mirrored sunglasses on size. Brand area on one arm. 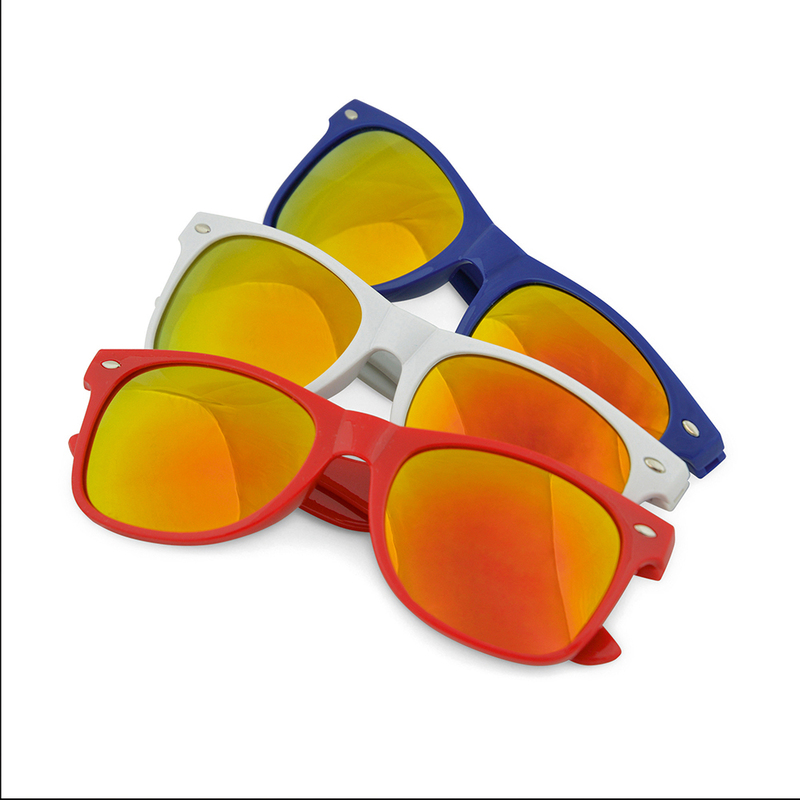 Available in white, red and blue with multi coloured mirror effect lenses. Colour Options: Blue,Red,White Product Data Specification Product Size 146 x 40 x 150 mm Product Weight Ink Colours If Applicable Additional Information Price includes 1 colour print to 1 position only. Price excludes Carriage & Origination. Lead Times 5 working days from artwork approval. Personalisation Data Max Personalisation Pad/Screen Print Area 30 x 7 mm Engraving Area Full Colour Area 30 x 7 mm Embroided Area N/A Max Spot Colours 1 Foil Block Embossing N/A Notes Price includes a 1 colour print to 1 position. Set up and carriage are additional. 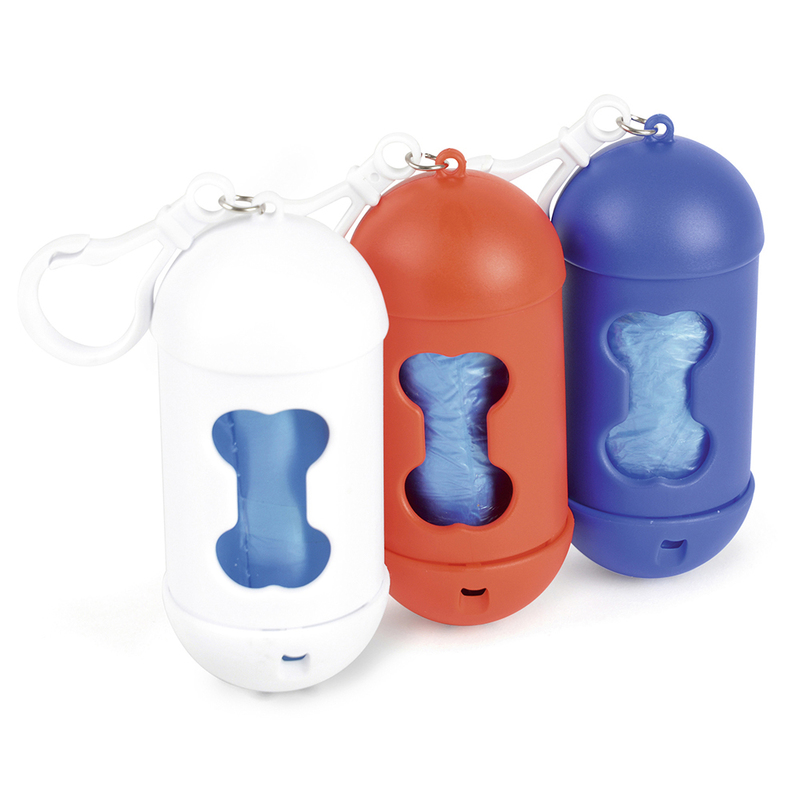 Model:SS0069 POOCH Description: Coloured plastic waste bag dispenser with white hook. Includes 15 waste bags. Available in 3 colours. Colour Options: Royal Blue, Red, White Product Data Specification Product Size 100 x 40 mm dia. Product Weight Ink Colours If Applicable N/A Additional Information Price includes 1 colour print to 1 position only. Price excludes Carriage & Origination. Lead Times 5 working days from artwork approval Personalisation Data Max Personalisation Pad/Screen Print Area 35 x 15 mm Engraving Area N/A Full Colour Area 40 x 20 mm Embroided Area N/A Max Spot Colours 1 Foil Block Embossing N/A Notes Price includes a 1 colour print to 1 position. Set up and carriage are additional. Model:RC0200 SPLIT CELL LUNCH BOX Description: Lunch box and cutlery set. The main section o the lunch box is divided into two. 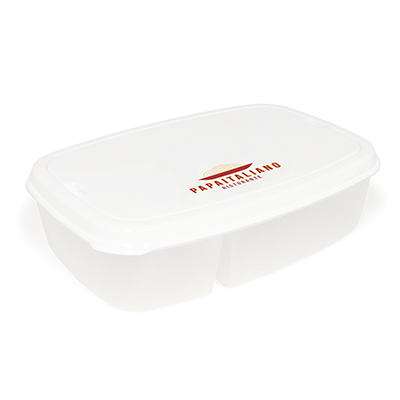 The lid conceals a plastic knife and fork. Colour Options: White Product Data Specification Product Size 228 x 155 mm Product Weight Ink Colours If Applicable N/A Additional Information Price includes 1 colour print to 1 position only. Price excludes Carriage & Origination. Lead Times 5 working days from artwork approval Personalisation Data Max Personalisation Pad/Screen Print Area 150 x 40 mm Engraving Area N/A Full Colour Area 150 x 30 mm Embroided Area N/A Max Spot Colours 2 Foil Block Embossing N/A Notes Price includes a 1 colour print to 1 position. Set up and carriage are additional. Model:TA0130 SUNGLASSES Description: Sunglasses on size. Available in ten colours. Colour Options: Amber,Black,Blue,Cyan,Green,Pink,Purple,Red,White,Yellow Product Data Specification Product Size 150 x 50 x 153 mm Product Weight Ink Colours If Applicable N/A Additional Information Price includes 1 colour print to 1 position only. Price excludes Carriage & Origination. Lead Times 5 working days from artwork approval Personalisation Data Max Personalisation Pad/Screen Print Area 30 x 7 mm Engraving Area N/A Full Colour Area 30 x 7mm Embroided Area N/A Max Spot Colours 1 Foil Block Embossing N/A Notes Price includes a 1 colour print to 1 position. Set up and carriage are additional.